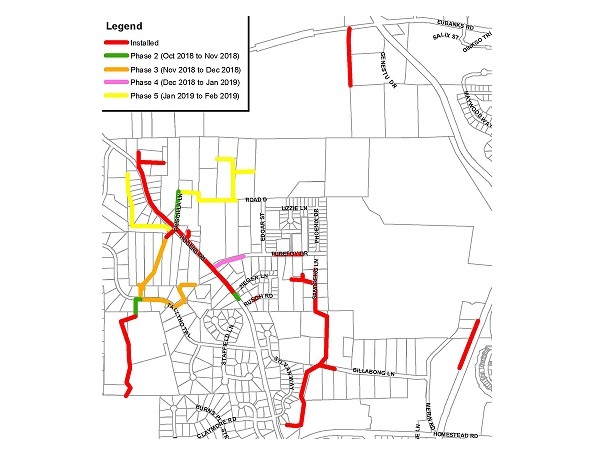 A public meeting was held last week to discuss what Orange County and OWASA have called “low-intensity underground blasting” to remove rock for the Rogers Road Area Sewer Project. Carrboro Mayor Lydia Lavelle says OWASA tried to avoid the blasting at all costs and is working to ensure that it will have minimal impact on the surrounding homes. The groundbreaking for the Rogers Road Area Sewer project took place in the summer of 2017 but construction obstacles have slowed the progress. OWASA is taking measures to alleviate the inconvenience of the blasting, such as sending out email alerts three days prior to blasting to anyone who has signed up for them, no blasting will be done the week of Christmas, while school buses are running, and sirens will be set off five minutes before blasts occur. Lavelle, who lives in the area of construction, says she has seen positive reactions from her neighbors. OWASA has estimated construction to be completed by early 2019.